For many small business owners, the spirit of the season is STRESS. 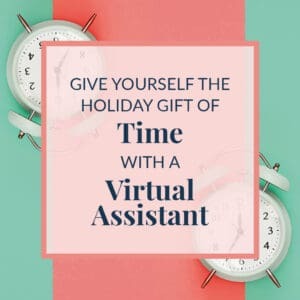 Learn how a virtual assistant can give you the holiday gift of time! When you walk into a physical store around the holidays, you will usually see them all decked out with the trimmings of the seasons. Christmas trees, lights, tinsel, Santa Claus… You know the drill. Well, you can do the exact same thing with your online presence. A holiday “overlay” on your website or social media channels can bring the spirit of the season to anyone who visits. It doesn’t need to be a big thing; it could simply be hiring one of our graphic artists to “string” some lights around your logo and branding. But it can be a nice touch to add to your site around the beginning of December to celebrate the season! It’s the most wonderful, and stressful, times of the year! So why not use a virtual assistant to help you beat the holiday rush and free up some time to celebrate? If you are planning on a big holiday promotion for your business, you’re going to want to advertise it as soon as possible to get the best bang for your buck. A holiday promo can contain many parts, including an email campaign, social media campaign, and even mention in your blogs. A fantastic deal can be a great way to show your customers how much they mean to you. But you need somewhere for all of these methods to funnel to, and that can be a seasonal landing page. This page will tell visitors all about your holiday promotion and the products you are offering, along with a link that will take them directly to your integrated eCommerce solution. Even if you don’t have something to sell, the holidays can be a great time to add a holiday-themed email opt-in to your website. We just finished this fun Christmas List download for a favorite client! It adds a little holiday fun to her website, offering her audience a fantastic download they will love and actually use. Plus, it builds her email list at the same time. Win, win, win! Your holiday sales landing page will perfectly match your website’s already existing aesthetic, while also having a certain holiday flare to match the spirit of your promotion. We can write the web copy, create the graphics, and design the page to get your clients excited about the upcoming holidays! If you’re feeling swamped around the holidays, believe me, I know how you feel. I think that every small business owner feels a bit cramped at this time of year. But with the help of a virtual assistant, you can get more done than you would ever think possible, making December into one of your most productive months! 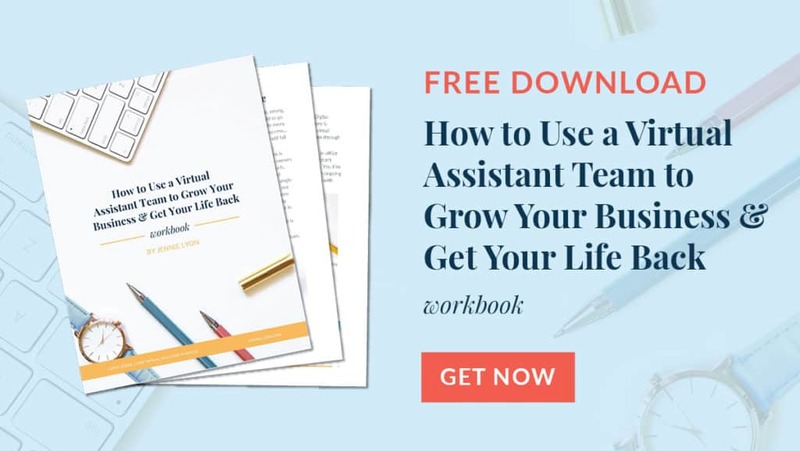 In fact, let me do you a favor, download my free workbook that walks you partnering with a virtual assistant! If you do one thing for your business this year, get help! You can’t do everything on your own. If you’d like to learn more about how I can help, please contact me for a free consultation!